History - Long Island Housing Services, Inc.
Long Island Housing Services, Inc. (hereafter Long Island Housing Services) is a private, not-for-profit 501(c)(3) corporation with its principal place of business located at 640 Johnson Avenue, Suite 8, Bohemia, New York. Long Island Housing Services is the island’s only private fair housing advocacy and enforcement agency serving Nassau and Suffolk counties. 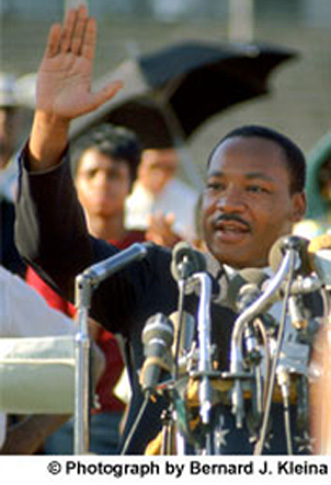 Within a week after the tragic assassination of Dr. Martin Luther King Jr., the Fair Housing Act, Title VIII of the Civil Rights Act of 1968 was passed. The next year, what has developed into Long Island’s premier and unique Fair Housing organization was formed through Smithaven Ministries. The idea came together from volunteers representing civic and religious group leaders concerned about racially discriminatory practices and segregation on Long Island. Well-qualified prospective black purchasers and renters were unable to secure housing and get honest information about the opportunities so easily available to whites. In the early 1970’s, the group incorporated and became an independent non-profit fair housing agency that came to be well known as Suffolk Housing Services. The group successfully challenged real estate agencies, management companies, landlords, and owners where investigation revealed solid evidence for discrimination. In the mid-1980s the agency became nationally acclaimed for its investigation and testing abilities with an Eastern District landmark jury award of $565,000 in favor of two black air traffic controllers. Suffolk Housing Services conducted tests that proved that black prospective tenants were falsely denied rental housing at the Watergate Apartments in Patchogue, NY, while contemporaneously whites were encouraged. In 1991, the agency expanded its services to investigate discrimination in Nassau County and became Long Island Housing Services (Long Island Housing Services). The work in challenging all kinds of discrimination, but especially race, handicap, and familial status has received national attention. For example, in 1994, Long Island Housing Services’ successful testing program was highlighted on CBS’ 48-Hours News Magazine show. The story featured our undercover black and white testers being given false information about availability of housing by the broker. Now, in the 21st Century, Long Island Housing Services continues to lead in challenging race, national origin, disability, familial status and all types of illegal discrimination and has worked to outlaw Source of Income discrimination in Nassau and Suffolk Counties. Long Island Housing Services has successfully conciliated landmark complaints against several major developers in pursuing compliance with the Fair Housing Act’s requirements for accessibility in multi-family design and construction; has challenged discriminatory advertisers; is screening and investigating for predatory lending and reporting mortgage rescue scams to protect consumer and public interests. In 2015, landmark efforts were initiated to eliminate restrictive zoning and residency preferences and to challenge a municipality’s violations of the Fair Housing Act and Constitutional rights stemming from discriminatory and abusive code enforcement practices. Work continues to eliminate discriminatory advertising and practices involving Source of Income and familial status discrimination. In an historic case, (Long Island Housing Services, Inc., et al. v. German American Settlement League) we filed suit in Federal Court and reached an Agreement in 2016 to eliminate the community’s discriminatory restrictions on membership, leasing, and resale of homes which served as a barrier to prospective homebuyers who are not white and of German ancestry. In numerous other cases, our clients now enjoy housing with accessible features or accommodations. In continuing response to the mortgage crisis so deeply affecting LI communities, we have expanded services to provide free legal services for those facing foreclosure and have helped many secure affordable loan modifications. This past year, tenants island-wide have received counseling and advocacy to secure their rights or improve their housing conditions. Long Island Housing Services’ outreach and advocacy efforts to alert and educate the public on avoiding mortgage rescue scams and helping to report scams continue. Staff has includes fluent bilingual Spanish speakers. to educate and assist the public regarding housing rights and opportunities in the region. serving as a clearinghouse for information. loan modification rescue scam counseling and reporting. Long Island Housing Services does not charge for services to individuals. However, as a non-profit 501(c)(3) charitable organization we seek to secure grants, private and corporate donations in order to continue our housing work. Donations are 100% tax deductible. Long Island Housing Services’ Board of Directors, Advisory Council and professional staff serve as a unique resource for non-profits, industry, government, and individuals.